Timing is something that has been frustrating me a lot lately … first with the //cmxp project and now this potential Ethernet card. In trying to port the driver from c over to assembly I’ve come to realize once again how rusty my assembly skills are. So I am doing a combo c/asm dirver just to verify the hardware functionality. Going to have to shelve things for a bit, probably till after the holidays – too much stuff going on in other areas. If I mange to sneak any time in i’ll post an update ..
All my Uthernet back orders except for one have shipped (Sean I am sorry – we’ll talk) and I am stockless once again. The issue this time is the base cards. I have 12 modules on hand and 50 more on order. 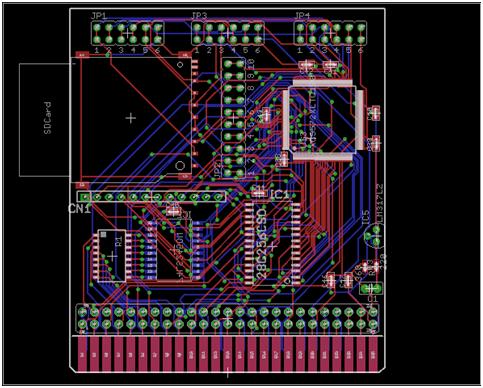 I want to make a minor update to carrier and will be submitting an order for more PCB’s real soon now. On the Ethernet next generation front … I plugged in a new prototype tonight I built a while back. 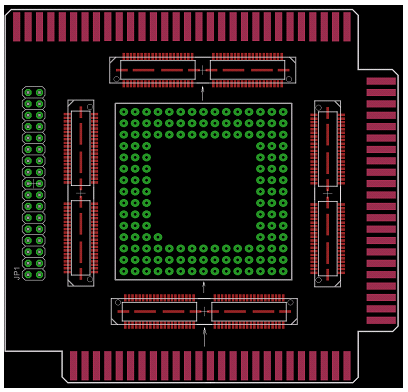 It is based on Silabs CP2200 chip. Some benefits to this chip are that it’s about 30% cheaper then the cs8900a, it has a lot less pins and it’s easier to solder. On the software side not sure from a driver perspective if it will be better or not from a space or performance point of view. For this particular prototype I have chosen to use the non multiplex address method which means most of the registers are directly mapped to the Apples memory in the slot i/o area .. ie c400.c4FF .. The first signs of life are that i can read a few registers and they have the correct power on defaults (although some don’t) and i can change a registers contents and it stays and can be changed back. More info to follow. Uthernet cards sold out Again!! Wow, they went fast … I have already ordered 25 more modules and PCB’s – realisticaly it will take about 1 month before I am ready to sell again … so send me a email if you want to get on the notification list.